Since he began painting in 1997, Walala Tjapaltjarri has gained worldwide recognition, participating in several national and international solo and group exhibitions. His paintings are represented in private and public collections in Australia, Europe and the U.S.A. Walala Tjapaltjarri was first introduced to painting by his brother Warlimpirrnga, also a painter of international acclaim. While Walala's first paintings were in a classical Tingari style usually reserved for body painting, ground painting and the decoration of traditional artifacts, within a couple of months of painting he evolved his own innovative style of work. He began abstracting the classical Pintupi designs, creating a highly graphic language to speak of his country and ceremonial sites. The rectangles so prominent in his paintings form both a physical and spiritual map establishing Walala as a discerning draughtsman for his ancient country. 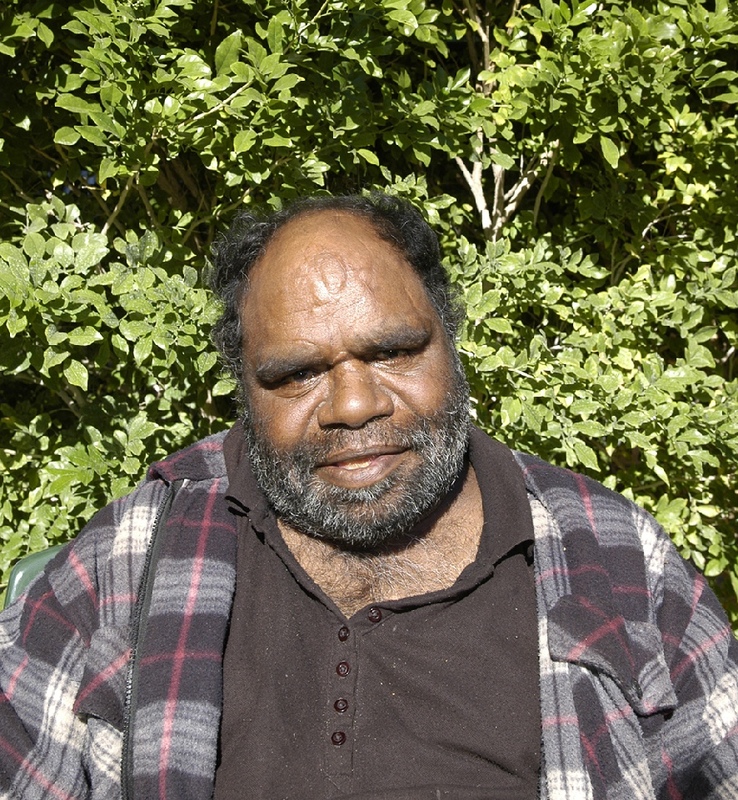 In was in late 1984, Walala and several other members of the Pintupi Tribe walked out of the remote wilderness of the Gibson Desert in Western Australia and made contact for the first time with European society. Described as 'The Lost Tribe', he and his family created international headlines. Until that day in 1984, Walala and his family lived the traditional and nomadic life of a hunter-gatherer society. Their intimate knowledge of the land, its flora and fauna and waterholes allowed them to survive, as their ancestors had for thousands of years. Walala Tjapaltjarri - Tingari Cycle; During the Tjukurrpa (Creation Era) Tingari ancestors beings gathered at a series of sites for Malliera (Initiation) Ceremonies. They traveled vast stretches of the country, performing rituals at specific sites that in turn created the diverse natural features of the environment. The Tingari men were accompanied by novices and usually followed by Tingari Women. The creation stories and rituals are venerated in the song cycles and ceremonies of today, forming part of the teachings of the post initiatory youths, whilst also providing explanations for contemporary customs. Walala Tjapaltjarri uses a highly personalised and minimal style to represent aspects of the sacred Tingari Cycle, an epic journey of Ancestors of the TJukurrpa (Creation Era). He paints aspects of the Tingari Cycle which are associated with the artist's many sacred sites - such as Wilkinkarra, Maruwa, Tarrku, Njami and Yarrawangu, to name a few. These are locations of significant rockholes, sandhills, sacred mountains and water soakages in the Gibson Desert. 1999 Spirit Country, The California Palace of the Legion of Honour, San Francisco, U.S.A.
1999 Recent Works by Walala Tjapaltjarri and Warlimpirrnga Tjapaltjarri, Rebecca Hossack Gallery, London. 1998 'Tingari Cycle' an exhibition of works by Walala Tjapaltjarri, Fire-Works Gallery, Brisbane, QLD.